I’ve had this ready to post for a little while, just got sidetracked. 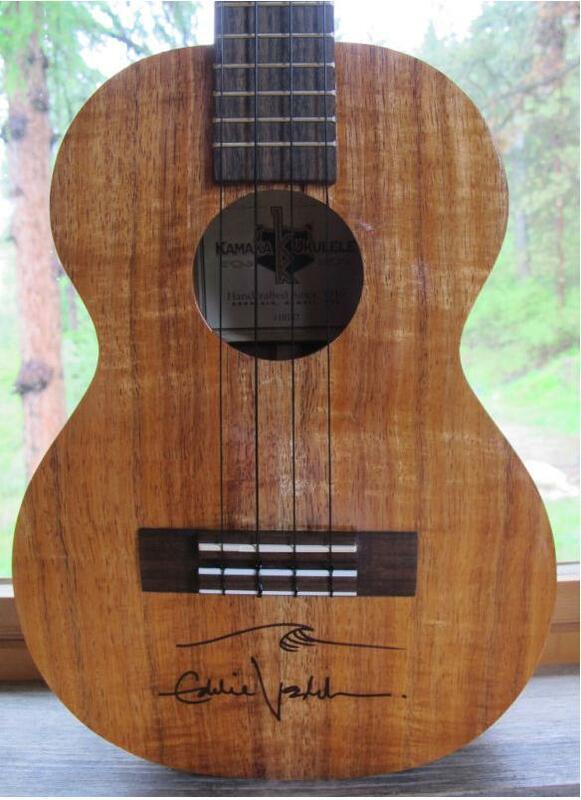 Eddie donated his Kamaka HF-3 to benefit Ferry County Rail Trail Partners (FCRTP) a little while back, and they auctioned the ukulele off on ebay. This ukulele sold for $17,100, anyone know what the most expensive uke ever sold was??? 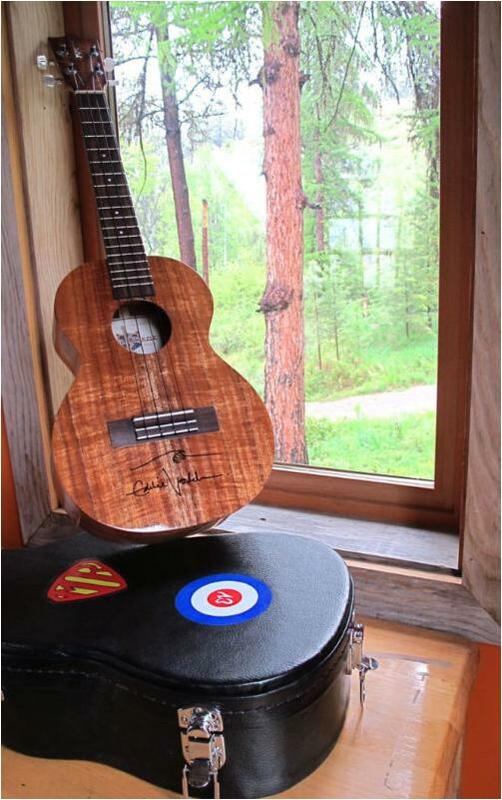 “This Kamaka ukulele was purchased new from Dusty Strings music shop in Seattle by Pearl Jam’s lead vocalist Eddie Vedder. It was lightly used for a period by Vedder only and is now being auctioned to benefit Ferry County Rail Trail Partners (FCRTP). 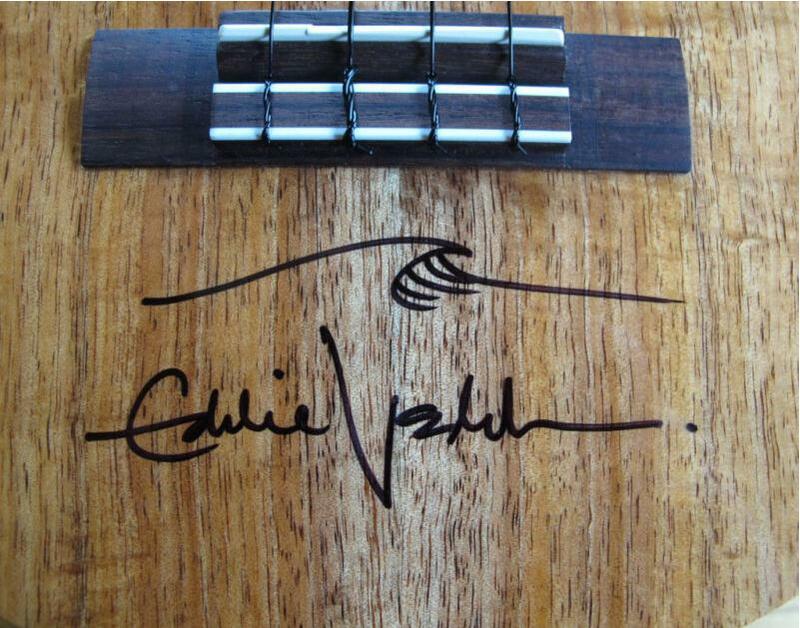 Vedder has been a longtime supporter of FCRTP and now you can become one too. The winner of this auction becomes a lifetime FCRTP member just like Eddie. Bonus materials included: Eddie provided a hand written note as well as personal guitar picks and stickers that will accompany the ukulele. 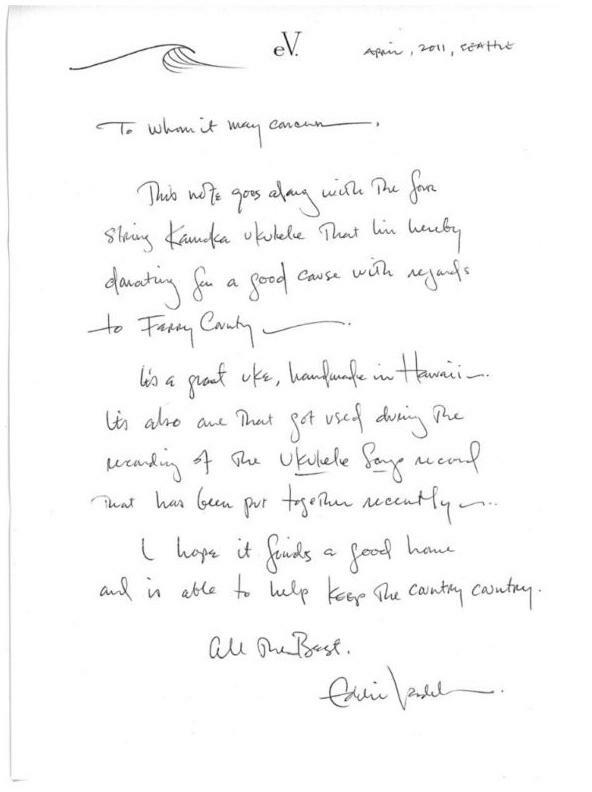 In the note he states that this ukulele was used during the recording of his just-released solo CD Ukulele Songs. 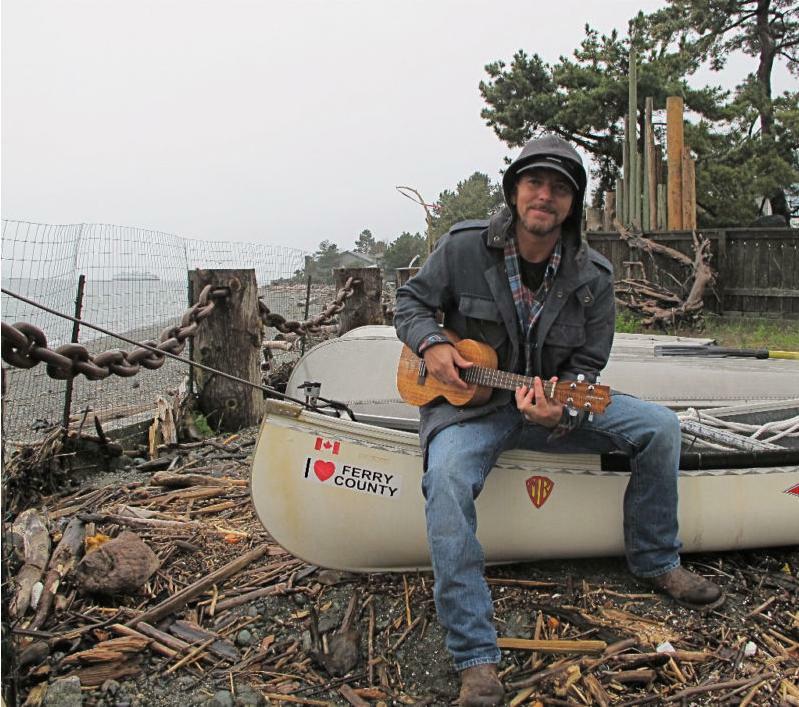 Also of note: The canoe photo with the [I ♥ Ferry County] sticker was taken by FCRTP president Bob Whittaker during a recent visit with Vedder and the picture is featured prominently on the songbook. 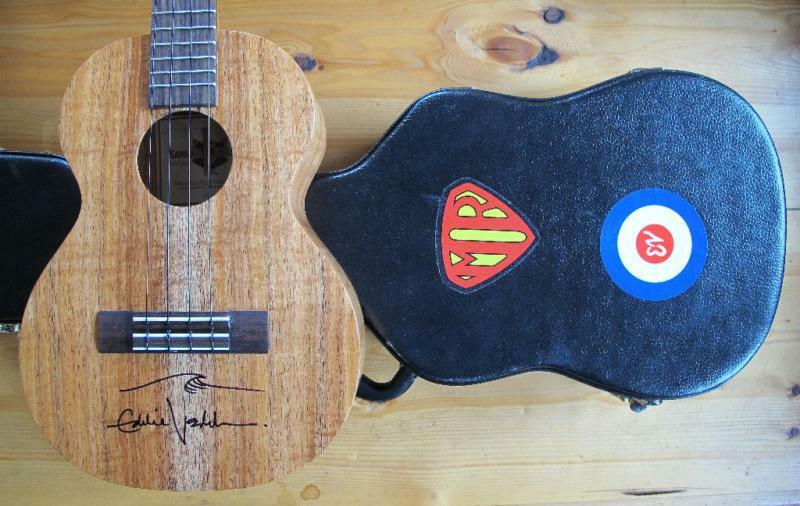 YES, this is this same ukulele in the songbook photo that is up for auction here. You can Google Ferry County Rail Trail to get to our website and see more details. This entry was posted on February 13, 2012 at 8:15 pm and is filed under History, Photos. You can follow any responses to this entry through the RSS 2.0 feed. You can leave a response, or trackback from your own site.